The purpose of this investigation is to reveal the existence of Biophilic Design and philosophical aspect of the ecology of human–machine systems by exploring the potential application of the basic pattern referred to as the golden section to internal design and individual joints’ biomechanical ability. Studies of internal design for special needs people, stairway design, devices as industrial knife and surgical scalpel confirm that subjects prefer designs and tool dimensions that are related to their human body segment lengths and individual strength joint’s capacity. In this research, Dr. Gielo-Perczak proposes that for interior design and any device there are different body segments which should be considered as a transitional element harmonizing a human body with a device. The psychophysical assessments affirm an existence of the golden section in /tool design as a preferred design harmonizing an individual’s body dimensions, activity demands and individual’s joints capacity. Gielo-Perczak, K., & Karwowski, W. (2003). Ecological models of human performance based on affordance, emotion and intuition. Ergonomics, 46(1-3), 310-326. Karwowski, W., Siemionow, W., & Gielo-Perczak, K. (2003). Physical neuroergonomics: the human brain in control of physical work activities. Theoretical Issues in Ergonomics Science, 4, 175-199. Karwowski, W., Gielo-Perczak, K., Moxley, D., & Rodrick, D. (2002/2003). Task parameters affecting human physical ability and willingness to lift: an ecological approach. Occupational Ergonomics, 3, 109-119. Karwowski, W., & Gielo-Perczak, K. (2002). A theory of human ecological control networks: the role of affordation, emotion, and intuition in the design of human environments. The Japanese Journal of Ergonomics, 38 Suppl, 26-33. Gielo-Perczak, K. (2001). The golden section as a harmonizing feature of human dimensions and workplace design. Theoretical Issues in Ergonomics Science, 2(4), 336-351. Karwowski, K., Sherehiy, B., Siemionow, W., & Gielo-Perczak, K. (2007). Physical neuroergonomics. In R. Parasuraman & M. Rizzo (Eds. ), Neuroergonomics. The Brain at Work (pp. 221-235). New York: Oxford University Press. Gielo-Perczak, K. (1994). 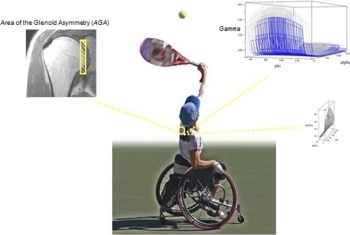 Biomechanical analysis of the wrist joint in ergonomical aspects. In F. Schuind, K. A. An, W. P. Cooney III, & M. Garcia-Elias (Eds. ), Advances in the Biomechanics of the Hand and Wrist (pp. 123-135). New York: Plenum Press. Gielo-Perczak, K., Bonato, P., Karwowski, W., Peter A. Hancock P.A., & Marras, W. (2012). 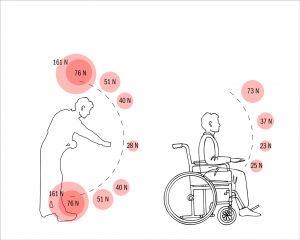 Mutidisciplinary Concepts in Ergonomic Design and Individual Differences in Performance. Proceedings of the Human Factors and Ergonomics Society 56th Annual Meeting, Boston, MA, October 22-26. Gielo-Perczak, K., Sotak, C., Dunn, R., Palumbo,N., Dahlmann, J., Brown, P. (2011): The Golden Section in Surgical Scalpel Handle as Preferred Design Fitting Hand and Dimensions with Surgeons’ Work Demands”, Proceedings XXIIIrd International Society of Biomechanics (No. 944), July 3-7, Brussels, Belgium. Gielo-Perczak, K., Solomonow, M., Kumar, S., Karwowski, W., & Drury, C. (2006). Diversity of factors that are the best predictors of individual performance. Proceedings of the Human Factors and Ergonomics Society 50th Annual Meeting, San Francisco, CA. pp. 1236-1239. Gielo-Perczak, K., Hancock, P., Karwowski, W., Marras, W., & Raja, P. (2005). Are we ready to consider individual differences in human capabilities in our workplace designs? Proceedings of the Human Factors and Ergonomics Society 49th Annual Meeting, Orlando, FL. pp. 1220-1223. Gielo-Perczak, K. (2004). The golden section as a harmonizing feature of workplace design and human dimensions. In L. Schulze (Ed. ), Proceedings of the 18th International Occupational Ergonomics and Safety Conference (on CD, Group 10, pp. 1-4), Houston, Texas. Gielo-Perczak, K., Rasmussen, J., & Christensen, S. T. (2004). An analysis of load transmission within the human body during pushing and pulling. Proceedings of the 18th Annual International Occupational Ergonomics and Safety Conference: Building Bridges to Healthy Workplaces (on CD, Group 10, pp. 4-8), Houston, TX. Gielo-Perczak, K., & Matz, S. (2004). An investigation of the congruity in geometry of the glenohumeral joint on the maximum acceptable load during pushing, Proceedings of the Human Factors and Ergonomics Society 48th Annual Meeting, New Orleans, LA, (pp. 1407-1411). Gielo-Perczak, K., & Karwowski, W. (2003). The potential effect of emotions on the maximum work load at the glenohumeral joint during simulated tasks, Proceedings of the XVth Triennial Congress of the International Ergonomics Association and 7th Joint Conference of Ergonomics Society of Korea/Japan Ergonomics Society, pp. 443-446. Karwowski, W., Cuevas, H., Hancock, P., Hettinger, L., Gielo-Perczak, K., Matthews, G., Wasburn D., Weaver, J. (2003). An investigation of the individual differences in geometry of the glenohumeral joint on the maximum acceptable workload, in a panel discussion on Considering the Importance of Individual Differences in Human Factors Research: No Longer Simply Confounding Noise. Proceedings of the Human Factors and Ergonomics Society 47th Annual Meeting, Denver, CO, pp. 1082-1086. Gielo-Perczak, K., Karwowski, W., Kumar, S., & Marras, W. (2002). Methodological approaches to research on musculoskeletal complaints and injuries. Proceedings of the Human Factors and Ergonomics Society 46th Annual Meeting, Baltimore, MD. pp. 1032-1036. Gielo-Perczak, K., & Leamon, T. B. (2002). An investigation of the individual differences in geometry of the glenohumeral joint on the maximum acceptable workload. Proceedings of 4th Meeting of the International Shoulder Group, Cleveland, OH. pp. 5-7. Gielo-Perczak, K. (1994). Biomechanical considerations for manual work limitations, Proceedings of the XIIth Congress of the International Ergonomics Association, Toronto, Canada, pp. 167-169. Gielo-Perczak, K. (1993). Method of static load evaluation of the wrist joint, Proceedings of the XIVth International Congress of Biomechanics, Paris, France. pp. 472- 473. Gielo-Perczak, K., Pogorzelski, W., & Morecki, A. (1989). Practical application of a multi criterion optimization based on the weight-correlation method to ergonomics. Proceedings of the First International Conference on Ergonomics of Advanced Manufacturing and Hybrid Automated Systems, Louisville, Kentucky, (pp. 97-102).